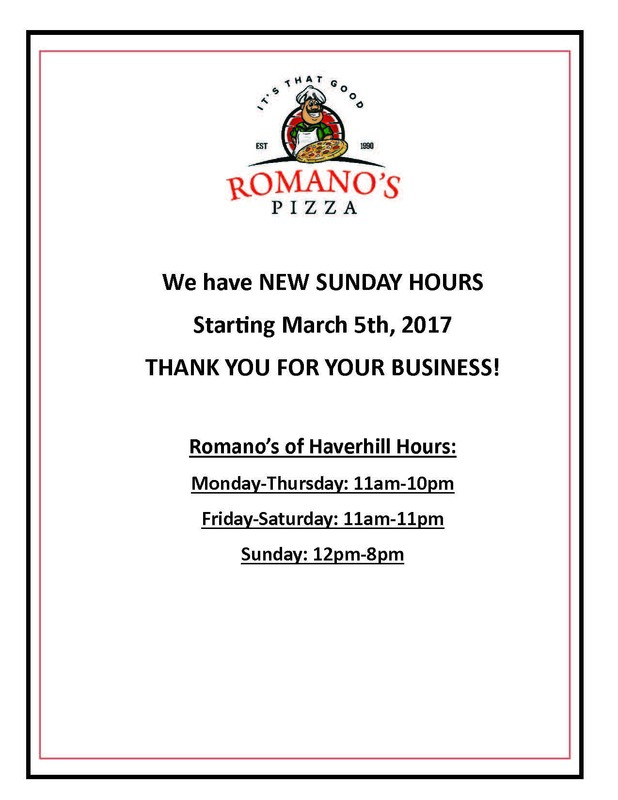 Romano’s Pizza | It’s THAT Good! 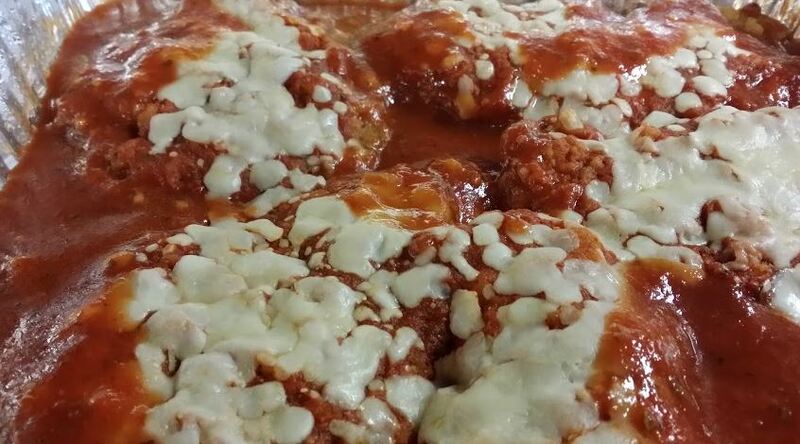 Romano's Pizza is your place for classic Italian pizzas, hot subs, burgers and more. 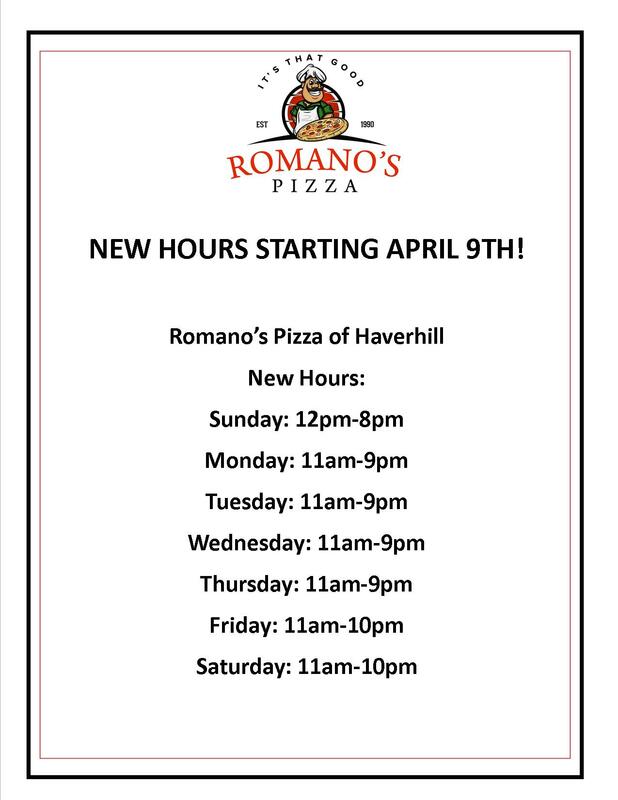 Romano's Pizza has been a Haverhill pizza staple for over 18 years and continues to thrive under the ownership of Bobby Greatorex who himself has been making pizza for over 20 years. 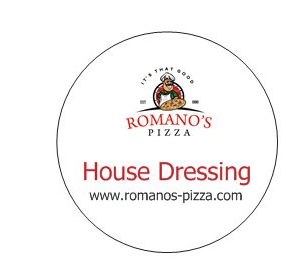 We know you love our Romano's Home-made House Dressing. 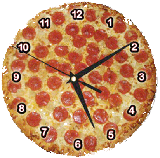 Now you can take it home with you to enjoy any time. Buy an 8 oz. container TODAY for only $2.99! We Cater. 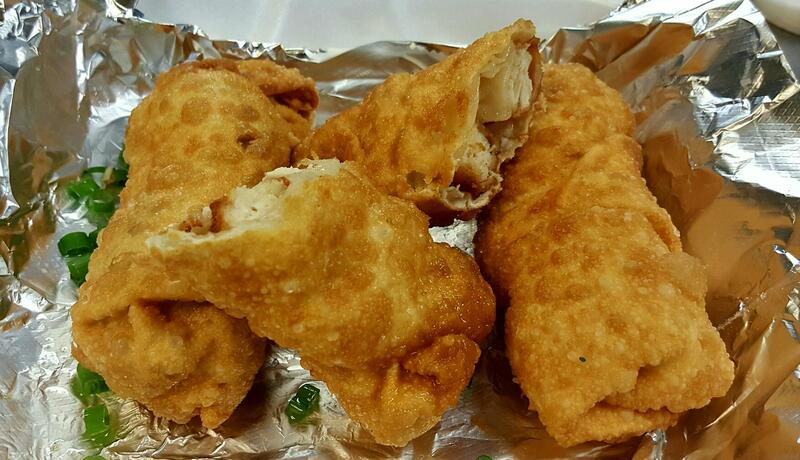 Call us to plan your menu! We offer 25% off for all First Responders every Tuesday and 10% off every other day of the week. Please accept our sincere Thank You for all you do. 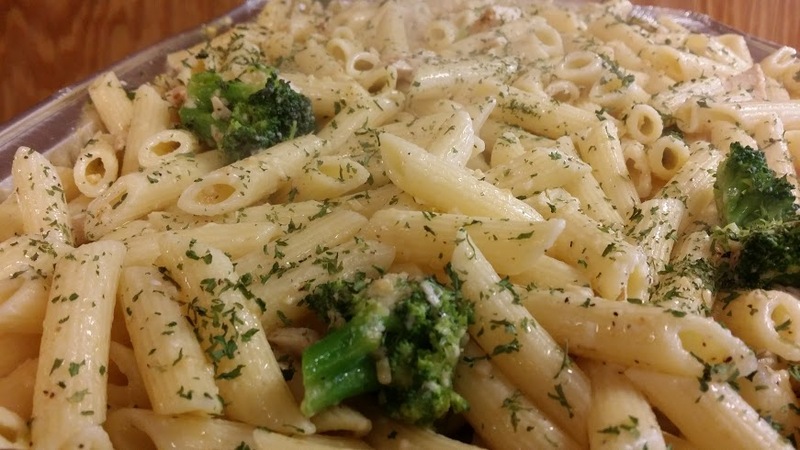 Romanos uses the finest ingredients. From Uncle Butch's Home-made meatballs to our Solid White Albacore Tuna! 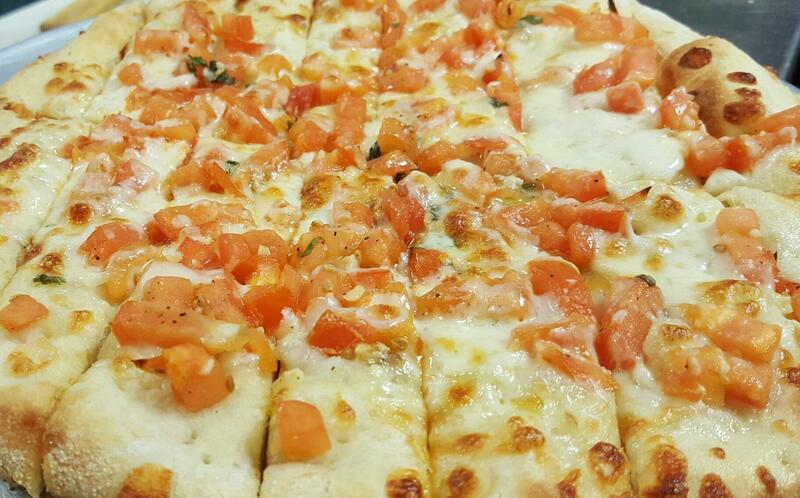 Romano's Pizza is your place for classic pizzas, hot subs, burgers and more. Romano's has expanded the healthy options on our menu to include "The Skinny." The Skinny is a pizza on a wrap. It's a healthier way of eating pizza. This means you have more choices to enjoy excellent food that is good for you, too! Click here to see The Skinny offerings. We will be closed on Sunday May 28 for Memorial Day Weekend, and opening at 4pm on Monday, May 29. Have a great long weekend, Haverhill!